Whether you are a weekend warrior, working professional, housewife or elite athlete the team at Bodycare will be able to get you back to your lifestyle fitter and faster and improve your level of performance. Our team can provide you with the professional assistance and advice you need to optimise your health and wellbeing. Vanessa a physiotherapist, nutritionist and clinical pilates instructor whose passion is in health and fitness. After graduating as a Physiotherapist in 2002, she spent the next eight years working in various locations around Australia. During this time she also completed a post-graduate certificate in Nutrition, taught English in Thailand and worked in academia in Singapore. Vanessa has a love for sport and fitness and enjoys helping others reach their full potential in this area. She has over ten years experience as a clinical pilates instructor and has consulted to corporate companies on the importance of maintaining a healthy lifestyle. In addition to teaching, Vanessa is currently doing a PhD in Indigenous Health through the University of Melbourne and presents nationally accredited sports and fitness courses to adults and school students. Vanessa is also an elite long distance runner, finishing second in the 2005 Bangkok marathon and third in the 2005 Melbourne marathon. Vanessa’s passion for running lead to her writing, Fit Not Healthy, about her experiences of overtraining the dangers of pushing the body to its limit, which is available in bookstores and online. 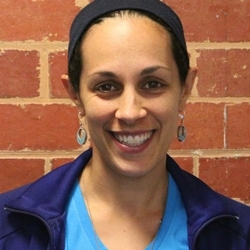 Christine completed her Bachelor of Health Science degree in Adelaide before moving to Melbourne where she attained a Doctor of Physiotherapy degree at the University of Melbourne. 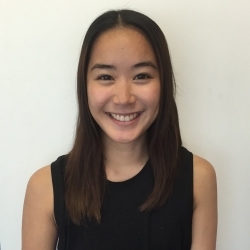 With a background in dance, taekwondo and working in the amateur football league, Christine has developed an interest in sporting injuries and exercise-based rehabilitation. Her treatment approach includes a combination of hands-on techniques and exercise to ensure her clients reach their rehabilitation and health goals in a sustainable manner. Christine teaches Clinical Pilates and is qualified in dry needling. She regularly includes these modalities in her treatment to encourage an efficient and effective recovery for her clients. In her spare time, Christine enjoys yoga, Melbournian coffee and planning her next trip overseas. Ilona has a special interest in Clinical Pilates and the balance between a healthy mind and body connection. Ilona’s aim is to help her clients to achieve their goals in health and fitness. Ilona believes in providing her clients with a personalised experience and program to ensure they get the best results possible. As a physiotherapist, Ilona specialises in lower back pain, neck or shoulder injuries. In her spare time Ilona loves to attend boxing classes and practice both yoga and pilates. Ilona also loves to explore different destinations around the globe and immersing herself in the local culture. 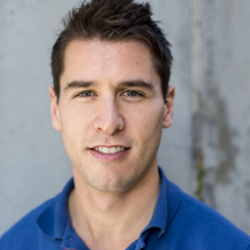 Luke is a Physiotherapist and Clinical Pilates Practitioner who graduated with honours from LaTrobe University in 2010. Luke has worked in private practices for 5 years before joining the Bodycare team. Luke provides physiotherapy to a range of conditions and is trained in the areas of Clinical Pilates, real time ultrasound and dry needling. Luke was previously the managing physiotherapist of the Footscray Hockey Club Men’s team (Premier League 1), McKinnon Cougars Basketball Big V Championship team and Bayside Triathlon Club. Luke is interested in a variety of sports including running. cycling, basketball, triathlon and AFL. He attended the Science for Cycling Giro D’Italia in 2013. Luke has a keen interest in the rehabilitation and treatment of injuries associated with these sports, in particular those involving the pelvis, shoulder and lower limbs. Victoria comes to us from New Zealand. Her expertise covers private practice and hospital work, providing her with an extensive range of experience in treating a wide variety of clients and conditions. 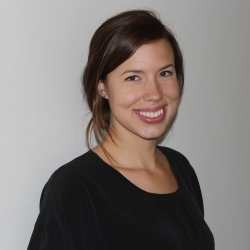 She has a special interest and skill set in dry needling, pre and post-natal health and post-surgical rehabilitation. 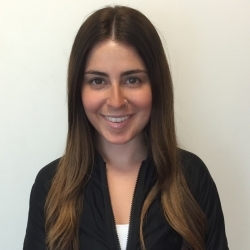 Victoria is extremely passionate about clinical pilates and is experienced in mat work and equipment based pilates. She trains physiotherapists to become skilled pilates instructors. A recently qualified yoga instructor, Victoria enjoys incorporating her professional skills and knowledge into this practice as well. She values a holistic approach to health, using her skills and knowledge in physiotherapy, yoga and pilates to help you reach your health goals and regain optimal function. 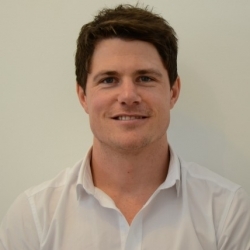 Gary Johnstone obtained a Bachelor of Podiatry at La Trobe University, completing his final placement in London, gaining a broader perspective of Podiatry and strengthening his treatment skills.Having over 7 years of clinical experience, Gary has a particular interest in sports podiatry, biomechanics and in-grown toenail surgery. Gary has played football for many years, currently playing with St Kilda City Football club. He now also adds triathlon to his hobby list and completed his first Ironman event in 2014. Gary brings together a strong interest in sports science and first hand experience in treating the vast musculoskeletal injuries related to endurance and competitive team sports . Gary utilizes up to date techniques relating to muscle strengthening, stretching, strapping/padding , footwear and orthotic therapy. Matthew Bull Obtained a Bachelor of Podiatry with honors at La Trobe University. His thesis titled ‘Effects of Foot Orthoses on Foot Plantar Pressures’ enabled him to gain extensive knowledge on the mechanisms by which foot orthoses influence foot posture and weight distribution beneath our feet. Matt has a strong sporting background having captained cricket teams at representative level and continues to play as a member of the Strathmore Cricket Club. 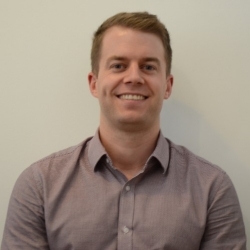 Matt has a passion for lower limb musculoskeletal injuries and biomechanics, incorporating his research and clinical skills into podiatric practice. During assessment of running gait and technique he also considers head and neck position, spinal rotation, and arm swing, to better understand the role of proximal stability in lower limb injury. Matt understands the importance of footwear in the treatment of lower limb conditions and has the skills to assess your current footwear and guide you through the vast array of footwear options, based on different supportive features.